Bell sleeve perfect for all temperatures. 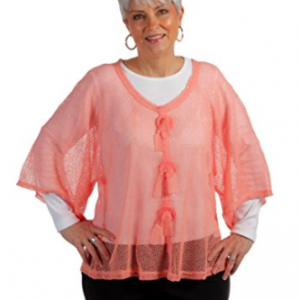 X-Large size only – measures approximately 38″ shoulder to hem. Great coverup to go from the pool to the party, just add some sandals. 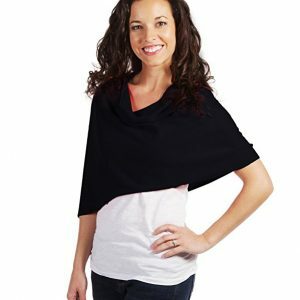 Can be Beach wear – or tunic top worn with leggings. Perfect for a cruise, a pool party, hanging out at the beach. Light weight cotton tunic dress features ruffle trimmed neckline, drawstring waist tie and three quarter bell sleeves. Black color with white circle print. Features ruffle trimmed lapel with double ties and drawstring waist. Measures approximately 38″ from shoulder to hem. If you are traveling and need a coverup for the day and another for a casual gathering around the pool, this top can cover both occasions. 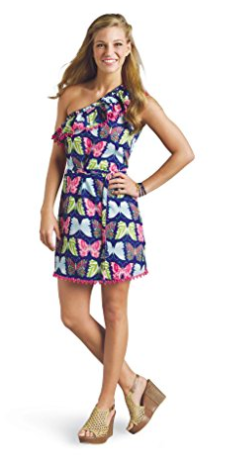 This tunic dress is also available in an orange with white and purple geometric print and a blue floral print.